THREE WORDS, IN BRIEF: Serena, a mermaid, gives up her magic to be with Steve. When he betrays her she is cursed to return to the sea as foam unless she can find another love within a year and a day who will tell her he loves her. Unable to tell anyone of her predicament, she returns to the seaside town where she came ashore to wait out her time, there meeting Seth, his close friends Ethan, Gaia, Tallie and Rob and his Great Aunt Rose. Gradually she begins to find a new life amongst them and she and Seth realise that they have feelings for each other. But Seth has been in and out of a toxic relationship with Jessica for several years and this, along with his difficult childhood, has made it very difficult for him to trust anyone. Love is just a word to him. He is used to people leaving. Although the kindest person imaginable, his behaviour alters when he and Serena become romantically involved; his doubts make him run. As time ticks by Serena realises that she too may have to leave Seth and with a very unsatisfactory explanation, breaking his heart again and compounding his mistrust. 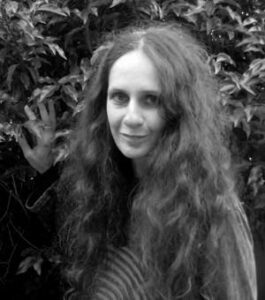 I invited Izzy Robertson, healer and author of four novels published by Magic Oxygen, to write about love and how she explores that theme in her new novel Three Words. 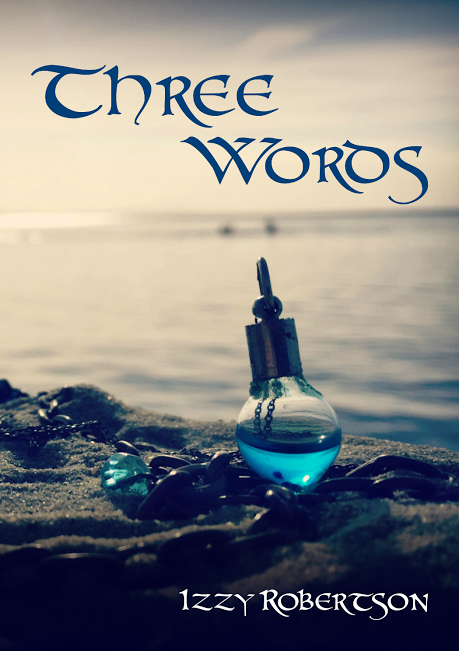 ‘Three Words is an exploration of relationships and love, with its many forms and facets. Love can be the purest and most powerful force for good on this earth. But there are many things that can masquerade as love, and some of them just aren’t. Obsession, possession, manipulation, guilt, false expectation; these all feed into the emotions we have around love and how it should be and can completely destroy trust and relationships. The book is very loosely based around the fairy tale The Little Mermaid, but pleases don’t be put off. It’s not Disney, I assure you! The original fairy tales as I’m sure you know were very much darker and far from sugar sweet. That’s where my interest lies. But this story is not just about romantic love. Three Words is about the very strong bond of friendship between Seth, Ethan and Tallie, ex school friends who are still as close as ever. The latter are both in strong, loving relationships, Tallie with Rob and Ethan with Gaia. It is also about family love; Seth, his Great Aunt Rose and Seth’s mother and sister who live in Canada. As humans I believe that we need to find meaningful connections, and that those can become stronger and deeper with some than others. There are those that social norms expect us to have loving relationships with; parents, siblings, close relatives, close friends. And social norms also tell us that our ‘soulmate’ is out there somewhere, just waiting to be in the right place at the right time to ride off into the sunset. All sounds wonderful doesn’t it? And yet so often it doesn’t run smoothly. You can love someone but find their behaviour difficult to tolerate. You can love someone but have a very different point of view. You can love someone with interests different from yours. If both parties can accept and respect those differences then that’s fine. But so often they can’t and that’s where problems begin to arise. One will try and force their opinion on the other; guilt tactics and emotional blackmail can be an extreme form of this. Behaviour can change on both sides. Resentment and anger simmer and can become disproportionate to the issues. Clear communication can become difficult, relationships can break down completely and people still can’t see a way out. I think our expectations of ‘love’, what it is, what it isn’t and what it should be colour the way we behave and approach others, especially in romantic love. We all buy into the premise that ‘true love conquers all’ and ‘love will be enough’. And why not? It’s a wonderful thought. But is it true? The day I lost my innocence (no, it’s not what you think! ), was the day that I realised that love, in and of itself, was not enough to sustain a relationship. No matter how desperately we loved each other, how hard we tried, I was not strong enough to help him defeat his demons and the potential for violence when he was deep in the dark was more than I could cope with. We broke up. Worlds shattered. I didn’t know how I could keep breathing. But I did. And slowly, slowly, time healed the wounds. But it took a long time and my subsequent relationships were badly affected by the mistrust and guilt that I carried from it. I was lucky. Eventually I met my wonderful husband and we’ve been married 22 years. Like Ethan and Gaia, we say ‘I love you’ every day. He is my saving grace and I have been truly blessed to find a love like this. But it’s not a fairy tale love. It’s grounded and real and built on respect, patience (mainly his!) and open communication. We are very different, but I like to think we balance each other. Next week, blind poet GILES TURNBULL blogs about his world and his writing. Giles’s pamphlet, Dressing Up, is due to be published by Cinnamon Press. Heaven’s Rage is a memoir and a collection of lyrical essays. In brief: ‘Heaven’s Rage is an imaginative autobiography. Reporting on feelings people don’t usually own up to, Leslie Tate explores addiction, cross-dressing and the hidden sides of families. Writing lyrically, he brings together stories of bullying, childhood dreams, thwarted creativity and late-life illness, discovering at their core the transformative power of words to rewire the brain and reconnect with life. “A Robin Red breast in a Cage / Puts all Heaven in a Rage” – William Blake. You can read more about/buy Heaven’s Rage here. Purple is a coming-of-age novel, a portrait of modern love and a family saga. Set in the North of England, it follows the story of shy ingénue Matthew Lavender living through the wildness of the 60s and his grandmother Mary, born into a traditional working-class family. Both are innocents who have to learn more about long-term love and commitment, earning their independence through a series of revealing and closely-observed relationships. Purple is the first part of the Lavender Blues trilogy. You can read more about/buy Purple here. Blue tells the story of Richard and Vanessa Lavender, who join a 90s feminist collective sharing childcare, political activism and open relationships. Boosted by their ‘wider network’ they take secondary partners, throw parties and observe the dance of relationships amongst their friends. But finding a balance between power and restraint, and handling shared love, proves difficult… Blue is the second part of the Lavender Blues trilogy. You can read more about/buy Blue here. Splendid book review and exploration of the topic of love. I have put this on my TBR for 2017. Tweeted this review on @bakeandwrite.